1 – Over 16,000 people attended FanFest over the weekend, which is a new record. What that means is excitement, anticipation, and expectation. They won’t sneak up on us this year, but they better deliver. 2 – Don Wakamatsu spoke about the options he has in the outfield. Centerfield and righfield are set with Franklin Gutierrez and Ichiro, respectively. With the signing of Eric Byrnes, that leaves Milton Bradley (DH option), Michael Saunders, and Endy Chavez, battling it out for time. A good problem to have. 3 – The Mariners Clubhouse is amazing. I missed that part of the tour last year. They provide tours during the year – take some time to visit. 4 – Seats are going fast for season tickets. Last year, there were a lot more available seats being offered for sale. Attendance will be back to where it was 10 years ago if winning ways continue. 5 – Everyone expects the M’s to contend. It’s early, but I think they need to improve by a minimum of 5 games (90 wins) to win the American League West. 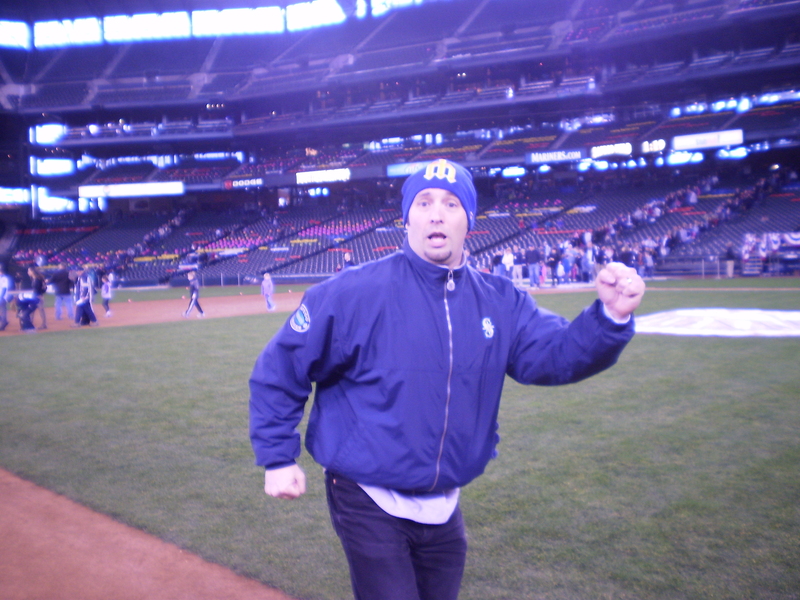 Last year was my first time to partake in Mariners Fan Fest. 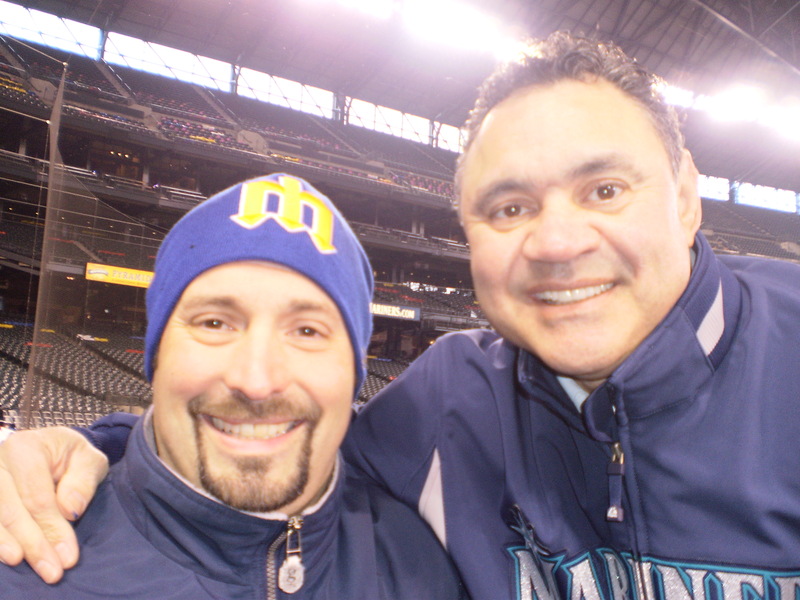 As you can see, I met one of my Ancient Mariners heroes, Julio Cruz. This is a great event for all family members and really inexpensive. $10 at the door for adults and $5 for kids. This year it’s January 30-31. Lots of games, activities, food, and opportunity to meet and listen to Mariners players, coaches and executives. My family is going Sunday – we hope to see you there.